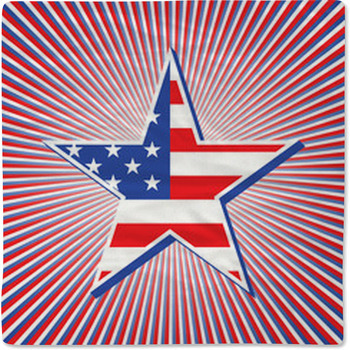 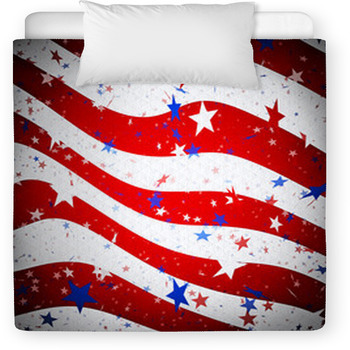 For patriots of a younger generation, we have American flag baby bedding. 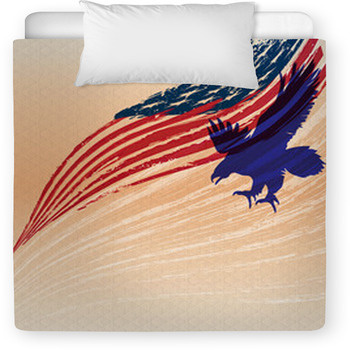 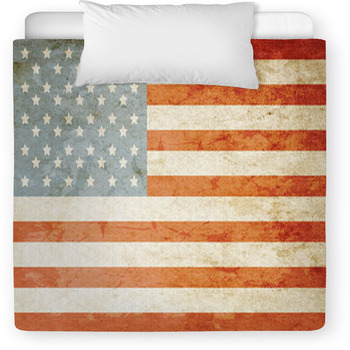 Want to add that rustic wild west feel with a patriotic twist to your crib bedding? 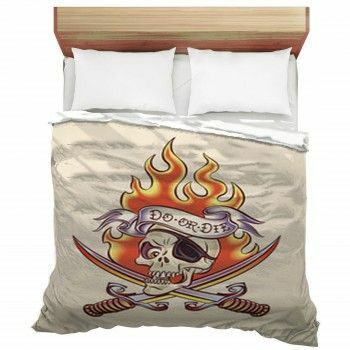 A design with a cowboy riding a bucking bronco over a flag background will add just the right touch to that wild west themed room any baby boy would love. 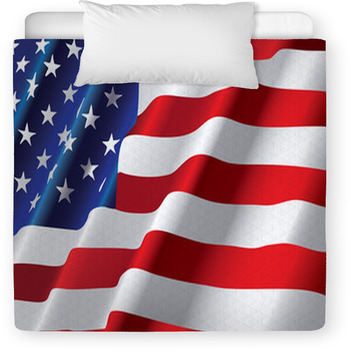 The emblem of a military patch can be the unique design that fits perfectly into any babies room, giving the space a patriotic feel any American is sure to love. 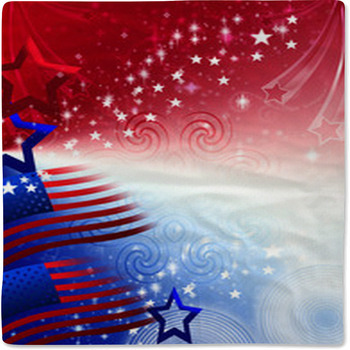 Or, for the more traditional, try decorating the nursery of your special baby girl in girly shades with a pink baby bedding and purple wall stickers, or that perfect shade of blue for that special baby boy. 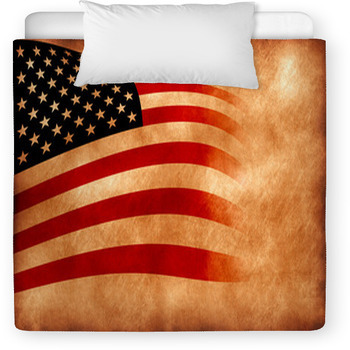 If a baseball theme of America’s favorite past time is the right look, then a worn-in baseball resting on a bright new flag would be the perfect choice for a custom size duvet cover. 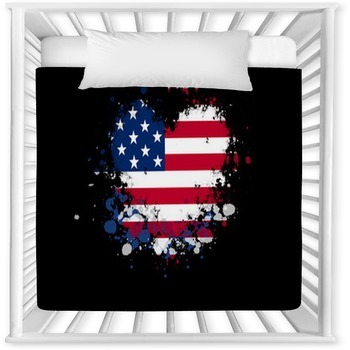 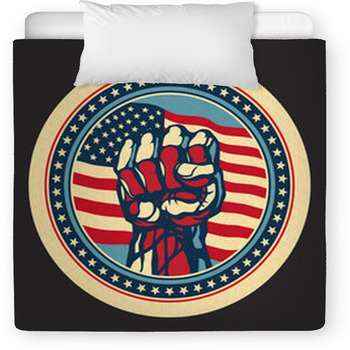 If a more modern look with a touch of grunge is what’s desired, then try a graffiti style American Flag baby bedding design. 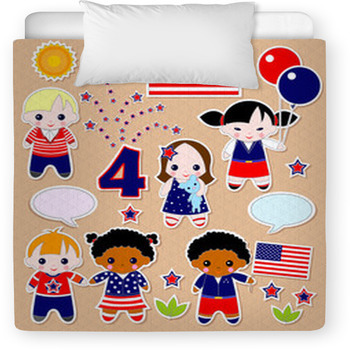 The options for customization and personalization are limitless with VisionBedding, and you can create infant and toddler comforters and duvets with your own baby pictures. 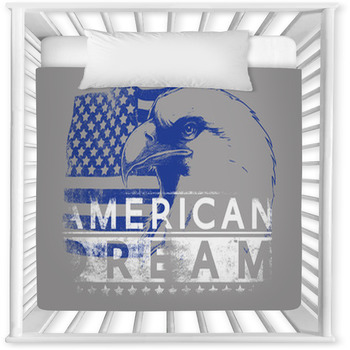 Add a slice of your own life to our baby bedding with your child's face showing in on the American flag, or even change the colors so your child's room has a classy black-and-white feel. 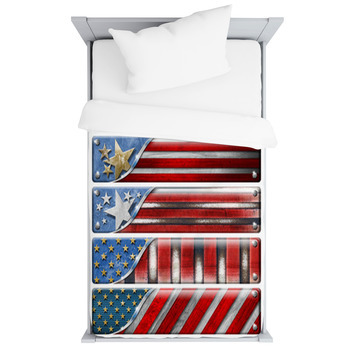 With so many designs to choose from, you will never run out of designs to show your patriotism with these American flag baby bedding for your nursery.